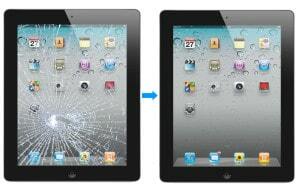 No matter what model of iPad you own – the team at Laptop Screen Repair can fix it! All it takes is one drop on a hard surface - and you’re left with cracked glass, a damaged LCD screen, or worse. We understand that this happens, and we are on your side. We'll get your iPad repaired and delivered back to your location anywhere in Sydney. The qualified, experienced technicians at Laptop Screen Replace make iPad repair easy. Our cost-effective service gives you peace of mind when you need to repair or replace your iPad screen. We offer the fastest service and most competitive price in Sydney and Australia wide. Get a free quote or contact our expert with your questions.